Portable AC Units provide higher capacities while retaining compact and ease-of-use convenience. Tripp Lite, a world-leading manufacturer of power protection and connectivity solutions, has introduced two additions to its award-winning line of IT cooling solutions, the SRCOOL18K and SRCOOL24K Portable Air Conditioning Units. Following the success of the SRCOOL12K, these new air conditioners provide higher capacities, while retaining the portable and compact convenience of the original. 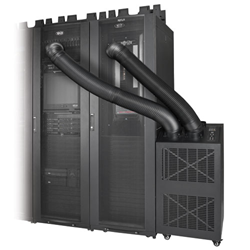 The Tripp Lite air conditioners reside closer to racks and equipment than perimeter cooling units, providing efficient and cost-saving close-coupled cooling. By directing cooling where it is needed most, the units are ideal for primary, backup or supplemental cooling in server rooms, data centers and other applications with heat-sensitive equipment. The new AC units are portable and self-contained. Installation is do-it-yourself simple, with no need for a disruptive construction project or the costly services of a plumber or HVAC specialist. The SRCOOL24K model includes a preinstalled network card that allows IT staff to monitor conditions and control settings over the network via SNMP, Web, SSH or telnet. The SRCOOL18K model offers the same remote monitoring and control with the addition of an optional web management accessory. For more information on the new portable AC units, visit: Tripp Lite Portable Cooling Solutions. Outstanding product reliability and exceptional service have been Tripp Lite trademarks for over 90 years. Tripp Lite´s innovations include the world’s first UPS system designed specifically for personal computers and the world’s most trusted premium surge suppressor—the Isobar®—with more than 19 million in use. Tripp Lite maintains the highest level of ready-to-ship inventory in the industry with more than 3,000 different products, including UPS systems, rack systems and cooling solutions, PDUs, PowerAlert software for enterprise-level system management and control, surge suppressors, KVM switches, cables and connectivity products, inverters, power strips and notebook accessories. Headquartered in Chicago, Illinois, Tripp Lite maintains a global presence with fully staffed offices worldwide. Additional information, including a list of Tripp Lite’s sales offices and authorized reseller partners, can be found by visiting Tripp Lite’s website: http://www.tripplite.com.